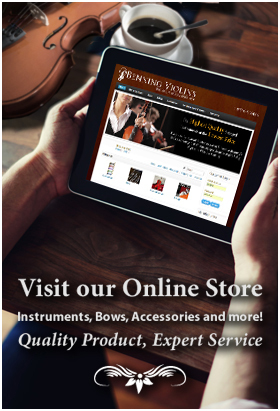 When crafting fine violins, as opposed to cheap, mass-produced ones, placing the neck onto the violin body is the most complex procedure, as the exact size, fit and angle will determine the symmetry of all the fittings and the ease at which the instrument is played. Precise measurements ultimately make or break the musician’s physical relationship with the instrument. Each measurement and cut influences all the others, and all variables must be paid close attention at each stage to achieve a perfect neck set. Before measuring and fitting the neck, the violinmaker must carve the mortise on the violin body. When it is complete, the mortise should be undersized so that the neck can’t yet fit into the body. The mortise is then enlarged just enough for a tight fit with the neck. The neck length should be 130mm from the upper end of the board to the top edge on the E-string side next to the heel. There should be about 6mm overstand between the crest at the top and the board’s underside. 27mm should be the top center height of the board at the bridge position. A 158-degree angle is optimal in fitting the neck. Although, better than a specific number, to achieve the best neck angle, an angle gauge can be used. It anticipates the string height over the board, predicting the neck angle early in the fitting process. 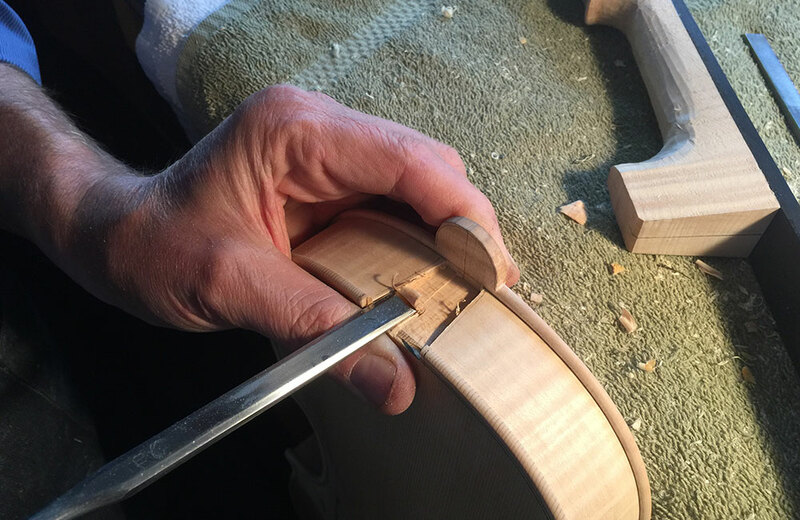 The luthier knows that no violin body is going to be absolutely perfect. Variations on neck length can be made, for instance, to make up for a shorter stop with a slightly longer neck. The placing of strings will be essential on a crooked violin body. Ultimately, a nominal centerline should be chosen so the violin neck does not appear crooked to a casual viewer. Like any high-end craft, the successful creation of fine violins, violas and fine cellos are all in the small but important details.